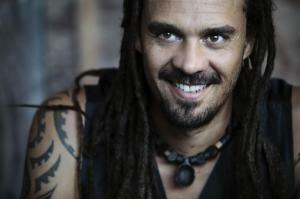 Does Michael Franti Agree With Neil Young: That Music No Longer Has The Power To Change The World? In February, 2008, Neil Young — the man who penned the protest song “Ohio” and 2006’s anti-Bush album Living with War — told a media conference in Germany, “I think that the time when music could change the world is past,” startling those who believed otherwise. 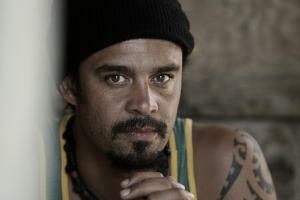 American musician Michael Franti has spent his career writing socially and politically charged songs, getting behind a ton of causes from the environment to peace to poverty to AIDS. He even shot a documentary in the Middle East called I Know I’m Not Alone, putting a human face to conflict. However, on his most recent album, The Sound of Sunshine, Franti takes a less dogmatic approach, and even less active, singing instead: “Just waitin' for the storm to pass me by /And that's the sound of sunshine.” Before, he would move that storm himself. So where is his head now? Can music make a difference? Cliché question, but does music have the power to change the world? Back in the days of your band Disposable Heroes of Hiphoprisy [1990 to 1993] or your first couple of Spearhead albums [1994…], did you think that you could have an effect on people, rally them and make a difference? As a songwriter in your early days, if you were going to write about an important issue — the death penalty, the environment — did you research that topic so lyrically you seemed informed or were informed? The Middle East conflict is one of those topics that people get riled up over and have deeply personal beliefs, even if they don't understand all the issues and complicated history. No matter what the news story is, no matter how many civilians on either side [Israeli or Palestinian] are killed, people will not sway from their beliefs or see the other point of view. “And as I was meeting with this woman in her living room, and speaking to her about this, I questioned myself, if I was in the same position, if I could have that same compassion. She told me that she didn’t always feel that way, but it came about through experience of meeting people on the other side, and speaking to them directly and hearing their pain and being open to hearing her pain, that things ultimately shifted in her. Do you really think peace is possible, given that war has been around since the beginning of time? You seem like such a positive guy, which is especially evident on your new album – The Sound of Sunshine. Travelling and meeting all these people and being more directly involved with the human side of these issues and understanding them, it hasn’t turned you into a cynic — has it? What are some of the stand out stories for you from your fans, people who meet you, have been drawn to a song, have maybe done the same thing you did upon hearing Bob Marley but it’s your song that turned them onto an issue? “I have people coming to me all the time and telling me stories about the way they’ve been inspired, not only by my music, but by music as a whole. I’ve been barefoot for 10 years. I started playing music on the street in countries where kids couldn’t afford to wear shoes. So after one trip I came back and I was just going to see if I could go for three days barefoot and it went a week and a month and just last April it was 10 years. So to commemorate this, we partnered with this organization called Soles4Souls [www.soles4souls.org] and they provide critically needed footwear for people in natural disatarers like in Haiti or New Orleans, and they also provide shoes for over 300 million kids around the world who have never worn a pair of shoes before. From all your travels, what are the most important issues now that we should be paying attention to? What hasn’t changed? For example, with all these cancer and AIDS research fundraisers, what on earth are they doing with all this money? Surely, there should be some major breakthroughs by now? “Once you get involved in social issues, it’s really easy to start and it’s really hard to stay the course over a long period of time because you look and you see very minute change, but it’s kind of like looking at a tree. If you look at the tree, someone might ask you, ‘Is this tree alive?’ And you look at the tree and you say, ‘I don’t see the tree moving so it must be dead,’ but if you were to come back five years later, you would see that the branches had grown much wider; it has taken in a lot of sunlight; it had beared fruit; it has provided so much for the animals and the people around that tree and fertilized other trees from its leftovers and the tree was very much alive and very much growing and very much changing. And that’s kind of how the world is. Sometimes, we look at it and think, ‘Man, it hasn’t changed that much,’ but just [recently] I heard about how they’re trying to repeal Don’t Ask Don’t Tell [the U.S. military ban on openly gay servicemen and women]. Who would’ve thought that five years ago?